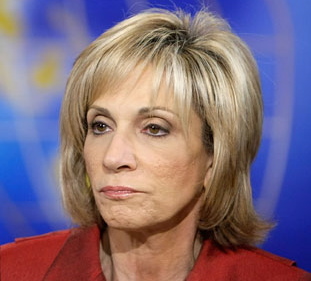 After Attorney General Jeff Sessions fired Deputy FBI Director Andrew McCabe on Friday — less than two days away from when McCabe would have been eligible for pension benefits — MSNBC’s Andrea Mitchell tweeted a potential solution. Mitchell’s tweet resulted in Rep. Mark Pocan (D.-Wash.) offering McCabe a job to help him obtain his pension. “Now we’re coming up with ideas on how to bail out Andrew McCabe,” said Fox News chief national correspondent Ed Henry on Fox & Friends, referring to Mitchell’s tweet. The media is “cheering McCabe on” while comparing his firing to Richard Nixon’s “Saturday Night Massacre” firing of independent prosecutor Archibald Cox in 1973, he said.